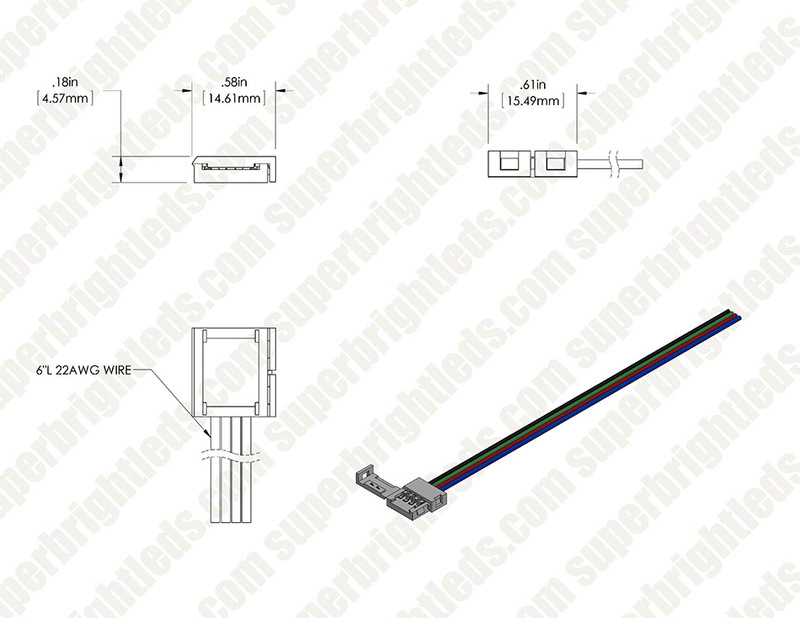 RGB series pigtail connector clamp. 10mm wide and 15.24cm(6in) length. 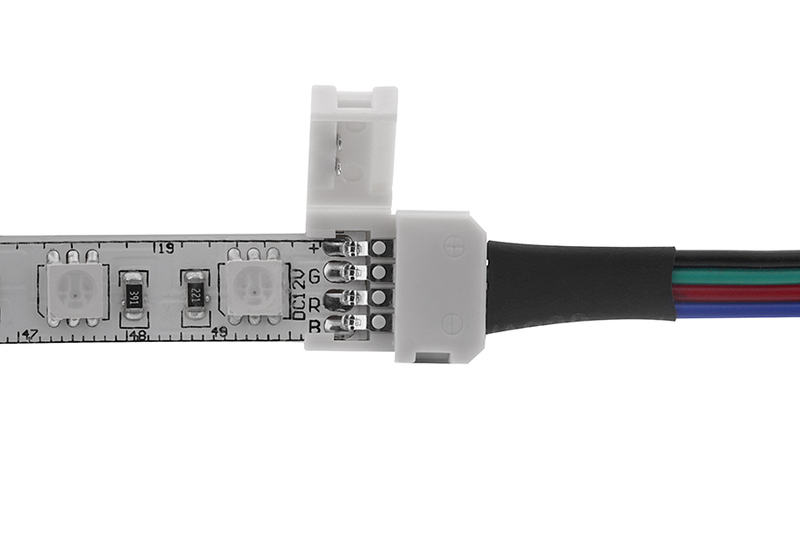 This non-waterproof connector requires additional steps to waterproof. 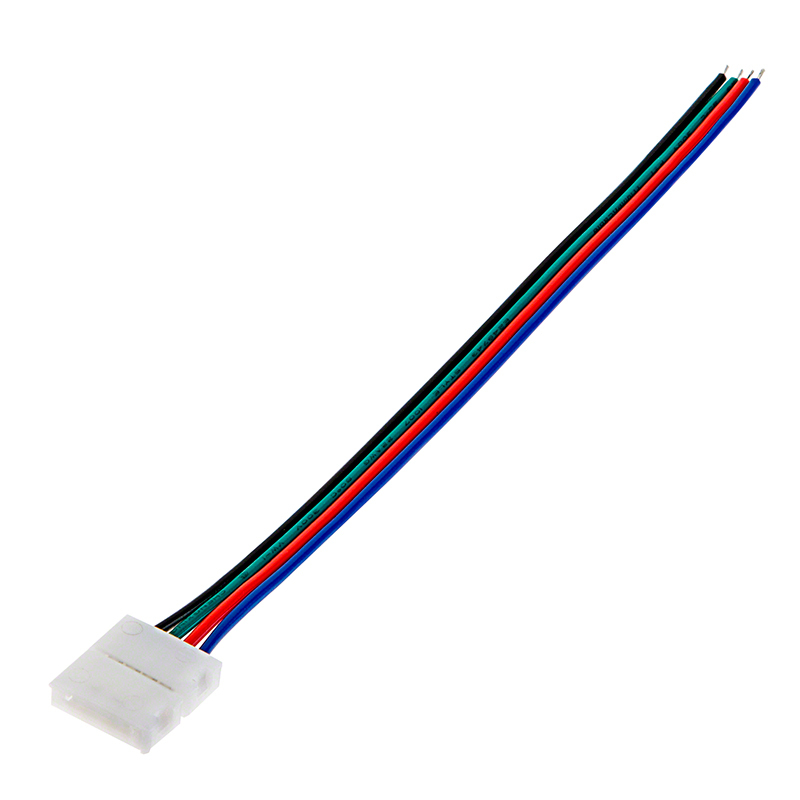 RGB LED Strip Light Kit - 12V LED Tape Light - 63 Lumens/ft. Was exactly as described. Very easy and fast to use. Works well.